A beautiful venue where lasting memories are made. 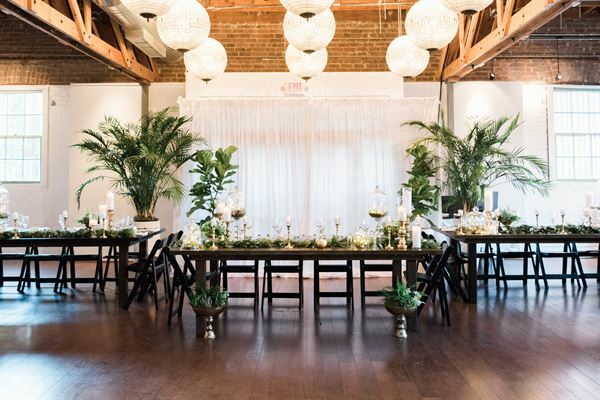 Located in the heart of downtown Tucson, the Carriage House radiates old world charm, featuring rich dark wood floors, brick walls, high ceilings, and elegant crystal globe chandeliers. The distinctive venue offers an exceptional setting for engagement parties, rehearsal dinners, receptions, or intimate ceremonies. The grand room can accommodate up to 140 for a seated event or 175 for a reception. Two adjacent smaller rooms can be used for additional seating, lounge and bar set ups and more. From formal multi course dinners to hors d'oeuvres receptions, the Carriage House offers impeccable service and outstanding cuisine prepared by our award winning culinary team on location in our state of the art kitchen. The Carriage House is the perfect backdrop for your special day in every way.